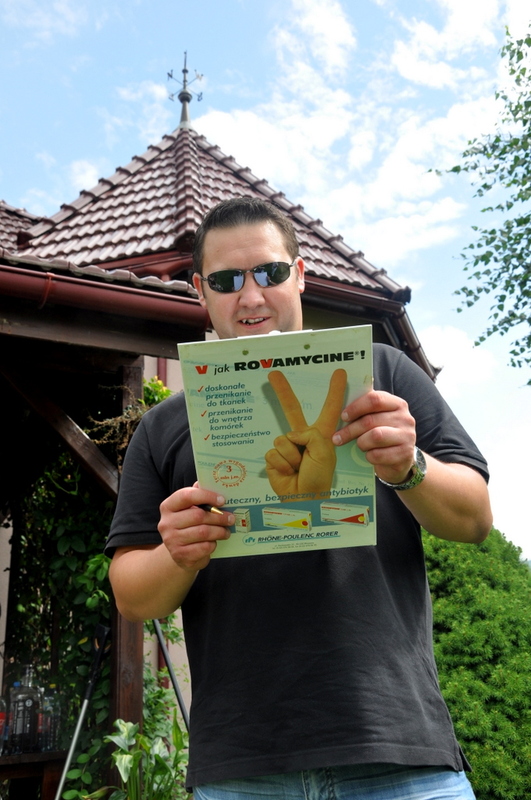 My aunt Bożena and her husband Andrzej are not only born in the same month of the same year, but were born only hours apart on the same day! It’s one thing to find someone in the world born the same day as you, but to have that person be your significant other is something else entirely. My aunt is a few hours older than her husband though, she did point that out proudly during their birthday party yesterday. 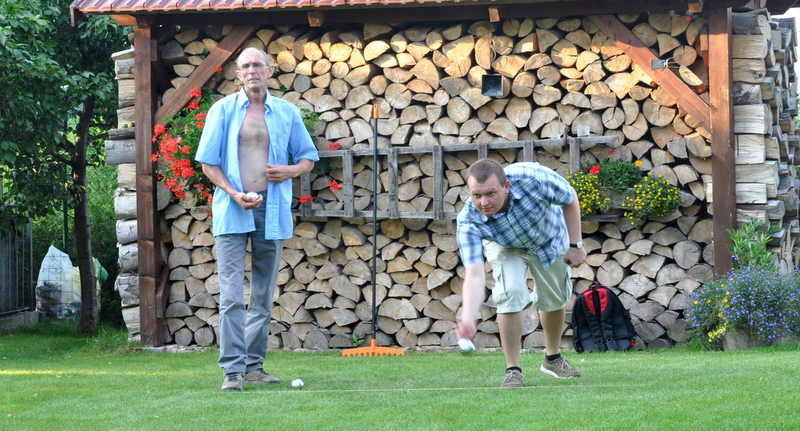 My aunt’s and uncle’s birthday celebration has an additional value to us all as it has also become the annual family boules tournament. 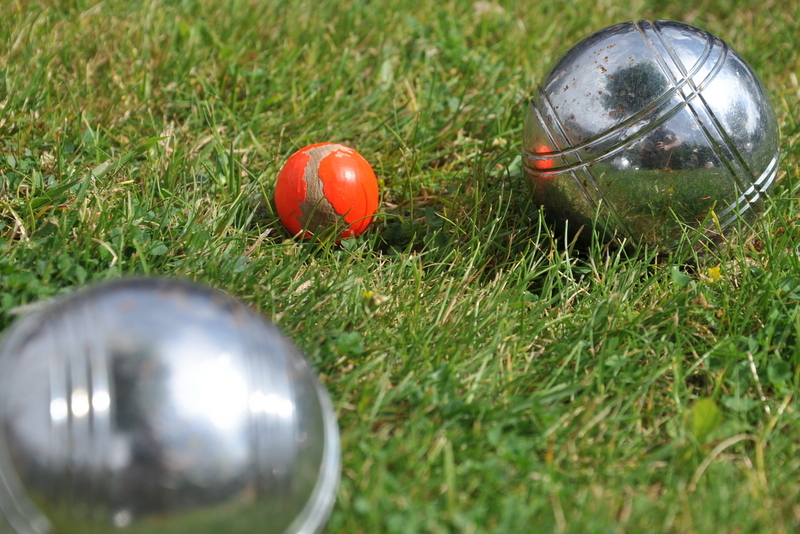 The game of Pétanque, is a form of a boules game where the goal is to throw heavy metal balls while standing behind the line as close as possible to small wooden ball down the field. The team to get their metal ball closer scores. 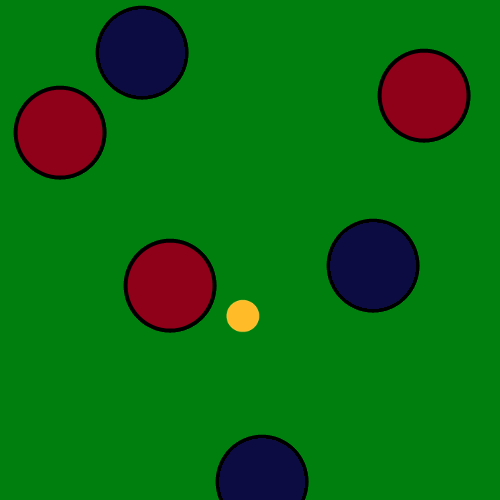 The small graphic on the left explains what the idea is; get your ball the closest to the yellow Jack, also known as ‘the piglet’. Now that I read a little about the game I believe we’re twisting a few rules in our back yard edition. 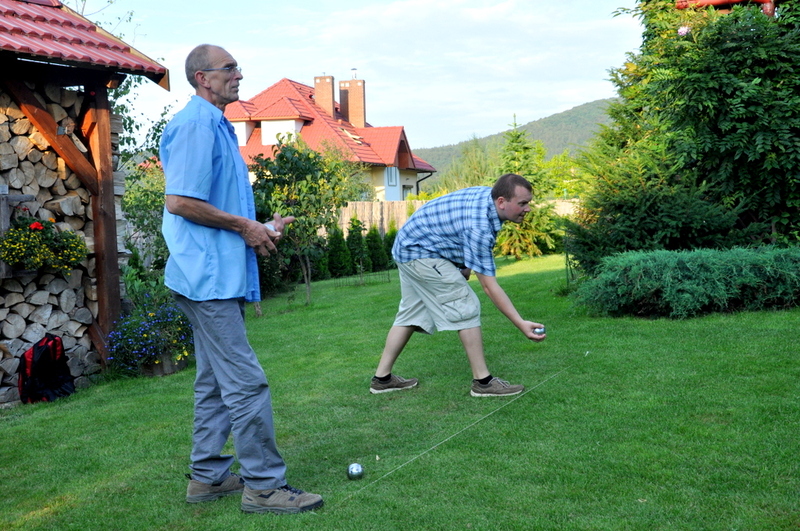 Like the fact that in pétanque you’re supposed to be standing in a circle and not only behind a line as we do, but the game is no less fun, believe me. To make things a little more interesting we play two separate tournaments, each with a different prize set. The “team” tournament is the classic approach where most couples team up and try their wits for a grand prize which this year was an electronic bathroom scale. Karolina and I were out in the very first round and the electronic scale was not ours to get. 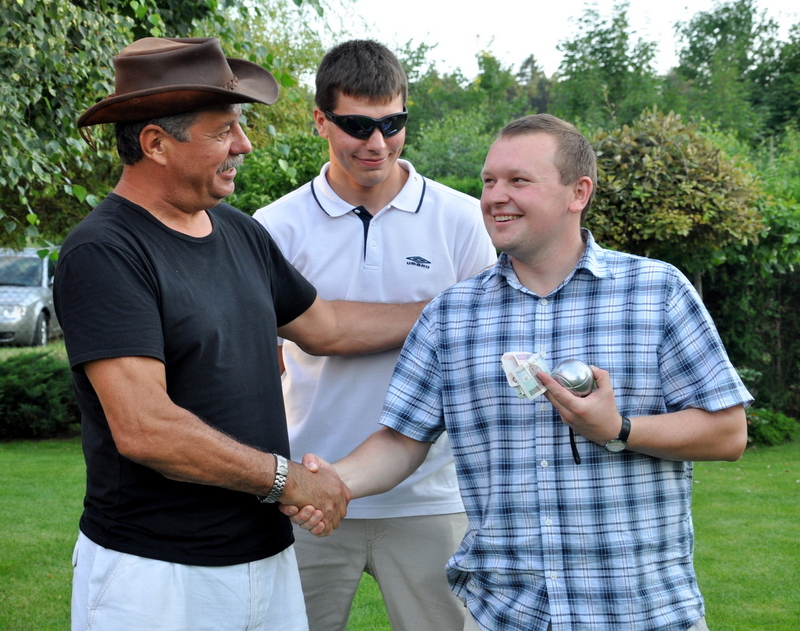 My uncle (the hat) and his wife presenting the team tournament prize. The most anticipated event, however, is the “individual” tournament where the buy-in was 10zl ($3.50). With eighteen players the grand total was 180zl ($64) and the winner was no other than yours truly writing this post! 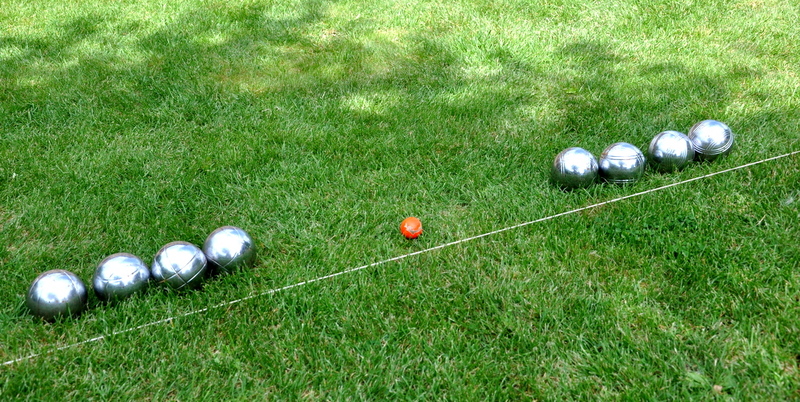 I have no idea how I pulled that off other than maybe I figured out the slope of the back yard a little and knew how the ball would curve down at the end. But I’m sure everyone was doing the same, maybe I just go lucky. Still, I WON!!! It’s not about the money of course, it’s all about good family fun (I WON!!) and I there are no losers, except for everyone else that didn’t win… yeah, I’m gonna rub it in cause I WON! It was a great day full of a fun and delicious food. 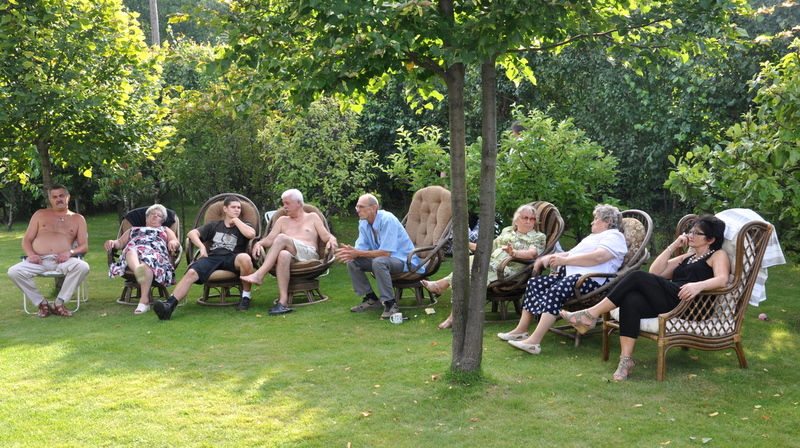 I know my uncle reads my blog and I wanted to thank him again for creating this great family tradition. Because you know, I WON! Every game needs a judge! Being a judge is hard work.